The word, caregiver, is a very broad one. Any person who provides another with some sort of care or assistance, whether they get paid or not, would be considered a caregiver. For our purposes, I will be focusing more on the “volunteer”, the unpaid family member or friend who has stepped up [or stepped in it] to help the person in need. I need to remind those of us who receive your generosity of a few things. 1. Treat this person, these people with respect. You, unfortunately, may be in a lousy situation, but, it’s not their fault; please don’t take out your anger on them. 2. Respect their time. In addition to all the other requirements and activities in their life, they have added your care to the to - do list. Calmly discuss what is needed and work out a schedule together that can meet everyone’s needs. 3. Apologize willingly. During times of frustration, anger, or disappointment, you may find that your words and / or your tone have assaulted or insulted your caregiver; apologize. Remind them how much you value their help, figure out what was the real issue, share that with them and sincerely apologize! 4. Say please and thank you often. Just another way for you to remind them that you respect and appreciate their efforts. Good manners go a long way in creating a pleasant, loving environment. Now, for you kind, generous people who have agreed to provide care to those of us in need, thank you so very much! You are a true blessing! Because the stress of being a caregiver can easily cause you to burnout, it can damage your physical and emotional health. For you, it is essential to get the support you will need. Providing care for a family member in need is an age-old act of kindness, love, and loyalty. And as life expectancies increase, medical treatments advance, and increasing numbers of people live with chronic illness and disabilities, more and more of us will participate in the caregiving process. There are many different types of family caregiver situations. You may be taking care of an aging parent or a handicapped spouse. Or perhaps you're caring for a child with a physical or mental illness. But regardless of your particular circumstances, you're facing a challenging new role. If you're like most family caregivers, you aren't trained for the responsibilities you now face. And you probably never anticipated you'd be in this situation. You may not even live very close to your loved one. At the same time, you love your family member and want to provide the best care you can. The good news is that you don't have to be a nursing expert, a superhero, or a saint in order to be a good caregiver. With the right help and support, you can be a good caregiver without having to sacrifice yourself in the process. 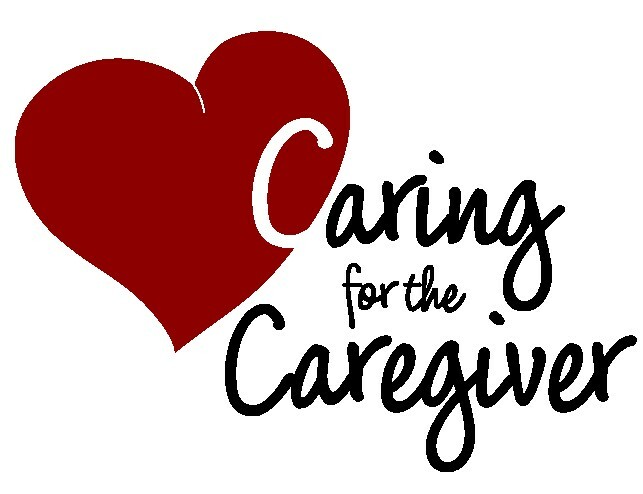 Caregiving can trigger a host of difficult emotions, including anger, fear, resentment, guilt, helplessness, and grief. It's important to acknowledge and accept what you're feeling, both good and bad. Don't beat yourself up over your doubts and misgivings. These feelings don't mean that you don't love your family member—they simply mean you're human. * Anxiety and worry – You may worry about how you will handle the additional responsibilities of caregiving and what will happen to your family member if something happens to you. You may also fear what will happen in the future as your loved one’s illness progresses. * Anger or resentment – You may feel angry or resentful toward the person you’re caring for, even though you know it’s irrational. Or you might be angry at the world in general, or resentful of other friends or family members who don’t have your responsibilities. * Guilt – You may feel guilty for not doing more, being a "better" caregiver, having more patience, accepting your situation with more equanimity, or in the case of long distance caregiving, not being available more often. * Grief – There are many losses that can come with caregiving (the healthy future you envisioned with your spouse or child; the goals and dreams you’ve had to set aside). If the person you’re caring for is terminally ill, you’re also dealing with that grief. Even when you understand why you're feeling the way you do, it can still be upsetting. In order to deal with your feelings, it's important to talk about them. Don't keep your emotions bottled up, but find at least one person you trust to confide in. Even if you’re the primary family caregiver, you can’t do everything on your own, especially if you’re caregiving from a distance (more than an hour’s drive from your family member). You’ll need help from friends, siblings, and other family members, as well as health professionals. If you don’t get the support you need, you'll quickly burn out—which will compromise your ability to provide care. But before you can ask for help, you need to have a clear understanding of your family member’s needs. Take some time to list all the caregiving tasks required, being as specific as possible. Then determine which activities you are able to meet (be realistic about your capabilities and time). The remaining tasks on the list are ones you'll need to ask others to help you with. Pablo Casals, the world-renowned cellist, said, “The capacity to care is the thing that gives life its deepest significance and meaning.” It's essential that you receive the support you need, so you don't lose that capacity. While you're caring for your loved one, don't forget about your own needs. Caregivers need care, too. * Take time to relax daily and learn how to regulate yourself and de-stress when you start to feel overwhelmed. * Keep a journal. Write down your thoughts and feelings. This will give you perspective and serve as a way to release strong feelings. * Talk with someone to make sense of your situation and your feelings. * Feed your spirit. Pray, meditate, or do another activity that makes you feel part of something greater. Try to find meaning in your life and in your role as a caregiver. * Watch out for signs of depression and anxiety, and get professional help if needed. * Stay social. Make it a priority to visit regularly with other people. Nurture your close relationships. Don't let yourself become isolated. * Do things you enjoy. Laughter and joy can help keep you going when you face trials, stress, and pain. * Maintain balance in your life. Don’t give up activities that are important to you, such as your work or your hobbies. extended break at least once a week. * Find a community. Join or reestablish your connection to a religious group, social club, or civic organization. The broader your support network, the better. * Exercise regularly. Try to get in at least 30 minutes of exercise, three times per week. Exercise is one of the best ways to relieve stress and boost your energy. So get moving, even if you’re tired. * Eat right. Well-nourished bodies are better prepared to cope with stress and get through busy days. Keep your energy up and your mind clear by eating nutritious meals at regular times throughout the day. * Avoid alcohol and drugs. It can be tempting to turn to substances for escape when life feels overwhelming, but they can easily compromise the quality of your caregiving. Instead, try dealing with problems head on and with a clear mind. * Get enough sleep. Aim for an average of eight hours of solid, uninterrupted sleep every night. Otherwise, your energy level, productivity, and ability to handle stress will suffer. * Keep up with your own health care. Go to the doctor and dentist on schedule, and keep up with your own prescriptions or medical therapy. As a caregiver, you need to stay as strong and healthy as possible. There are services to help caregivers in most communities, and the cost is often based on ability to pay or covered by the care receiver's insurance. Services that may be available in your community include adult day care centers, home health aides, home-delivered meals, respite care, transportation services, and skilled nursing. services organization, county information and referral service, university gerontology department, family service, or hospital social work unit for contact suggestions. In the U.S. call your local Area Agency on Aging. * Caregiver support for veterans – If your care recipient is a veteran in the U.S., home health care coverage, financial support, nursing home care, and adult day care benefits may be available. Some Veterans Administration programs are free, while others require co-payments, depending upon the veteran’s status, income, and other criteria. * Your family member’s affiliations – Fraternal organizations such as the Elks, Eagles, or Moose lodges may offer some assistance if your family member is a longtime dues-paying member. This help may take the form of phone check-ins, home visits, or transportation. * Community transportation services – Many community transportation services are free for your care recipient, while others may have a nominal fee or ask for a donation. In the U.S., your local Area Agency on Aging can help you locate transportation to and from adult day care, senior centers, shopping malls, and doctor's appointments. * Telephone check-ins – Telephone reassurance provides prescheduled calls to homebound older adults to reduce their isolation and monitor their well-being. Check with local religious groups, senior centers, and other public or nonprofit organizations. * Adult day care – If your loved one is well enough, consider the possibility of adult day care. An adult day care center can provide you with needed breaks during the day or week, and your loved one with some valuable diversions and activities.